Scheduled for a cruise anytime soon? Congratulations, you’re bound to enjoy a truly exciting adventure ahead! But, be warned – while you may have already paid for a hefty amount to book your cruise, you may still incur a considerable expense if you’re not ‘cautious’ enough. Ships are known for having food overload. From morning ‘til night, buffets are part of your everyday meals. But, to those who may be going onboard the first time – don’t be surprised – unlimited drinks are not included in the daily revelry. Thirst-quenchers like tap/house water, brewed coffee, and tea are the usual inclusions in your cruise fare – and the rest would incur you an additional charge. ‘The rest’ refers to sodas, specialty coffee, cocktails, wines, and other alcoholic beverages. Now while a couple of orders of those may not total to a huge amount – you’d be surprised at how the beverage expenses rack up when stretched over a number of days! Give your pockets a break by signing up for a drinks package instead. These may vary depending on the cruise ship, but all of them cover a comprehensive variety and volume of beverages, and will enable you to have better control of total expenses. While you’ll never be left wanting for food in a cruise ship, there may be times when you’ll feel like you want to try something else. Gourmet food in specialty restaurants onboard can definitely be irresistible! If you really want to save a few dollars, then do some prior research – or just walk around. Some restaurants give freebies based on a purchase amount, or when they’re taste-tasting a new product. You might even chance upon a daily giveaway on a particular time of the day. Freebies may not be limited to food too! You always get free entertainment options, free relaxation venues, and many other privileges to make your cruise extra enjoyable minus the extra cost. Celebrating a special occasion? It’s highly likely that the crew has something special for you! Ask around and find out what you can avail without digging a hole in your pockets. Don’t have second thoughts about asking for discounts too, especially if you’re availing a premium paid service. Every dollar you save adds up! Another expense that can rack up in numbers are shore excursions. How can you resist the lure of beautiful heritage sites, breathtaking landscapes, and other interesting, magical new places? You don’t really have to! BUT, always proceed with caution, especially when it comes to costing. Veteran cruisers agree that booking your shore excursions on the fly when you’re onboard is not really the best idea. If possible, book them prior to boarding. This way, you’ll be able to coordinate your schedule with the rest of your group (if traveling with others or with family), and you’ll be able to gauge just how many shore excursions you should go with. You wouldn’t want to skip itineraries because of time constraints right? Pre-booking shore excursions also enables you to take advantage of great deals, some may even be discounted! You can ‘shop around’ for best options – which means you’d be able to take more destinations and value for money in consideration. Not being in the comfort of your own home and town can be pretty tricky to budget for, especially if you’re to face ‘tempting offers’ left and right, day in and day out. The latter is what happens on a cruise ship. 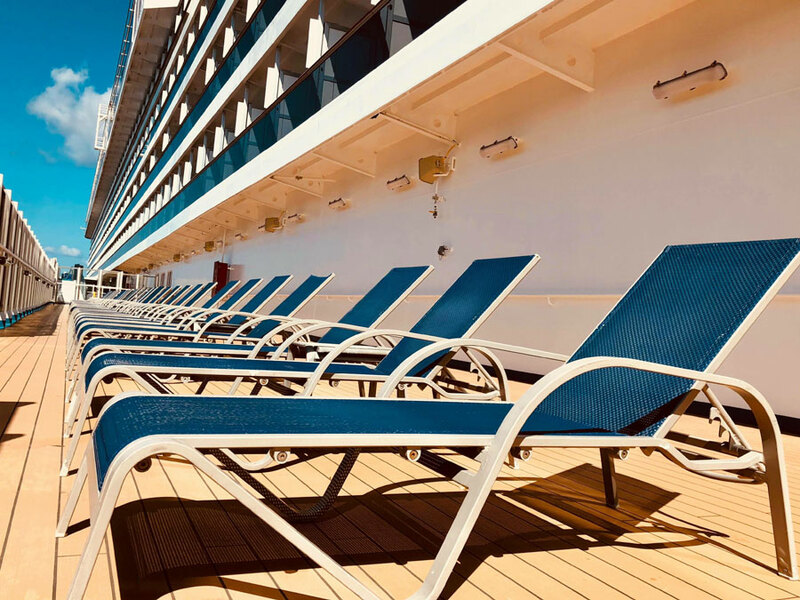 Cruise vacations are meant to be enjoyed, and you wouldn’t want to feel like you’re missing out by keeping that tight hold on the purse strings. So what do you do? First, plan your day. Come up with a checklist of which areas of the ship you want to try out, and even where you want to eat. Having a solid plan helps keep you away from possible extra expenses in places like gift shops, specialty restaurants, etc. Second, know your priorities. For example, if you know you’re big on gourmet eats, allot a daily budget for how much you want to spend on a certain dish to try. This way, you’ll be able to really manage your expenses – without really saying NO to everything that comes at an extra cost. Cruise vacations are extravagant – but they are of good value too! Be a money-smart cruise passenger, and you’ll find yourself enjoying even more on-sea adventures in the very near future.